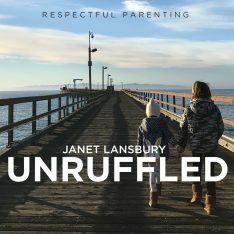 In this episode: Janet responds to the parent of 8-month-old twins who says they are both very dependent on her, and she gets overwhelmed by her babies “complaining and crying at the same time.” Though she tries to respectfully acknowledge each twin, she worries that she isn’t being successful. 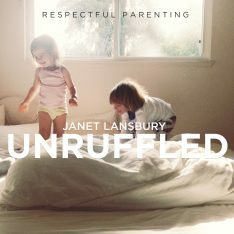 The insight and advice Janet offers apply to all family situations, no matter how many children a parent is caring for. 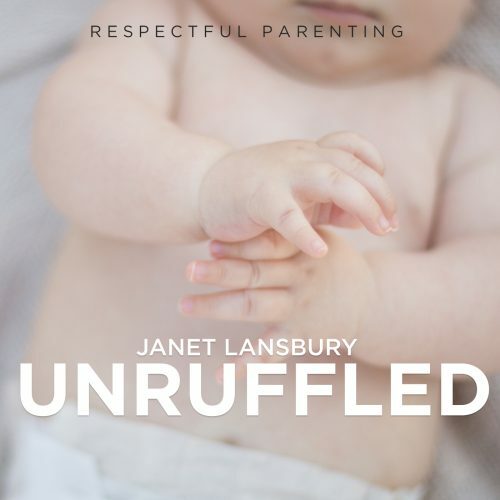 Hi, this is Janet Lansbury, welcome to Unruffled. Today I’m going to be talking a bit about some ideas for raising twins, and these ideas actually apply to all parents, and I believe are helpful thoughts in terms of taking care of single children, siblings that are of different ages, and all aspects of parenting. Okay, so the reason I haven’t chosen to do a podcast, or even a website article about twins, is that I like to share things that will make lives easier for as many parents as possible. But when I realized that parenting twins can actually jumpstart us all into understanding our role as respectful parents, I thought this might be really helpful, because these are ideas that apply to parenting in general. So what can raising twins teach us all about parenting? One, that (1) babies are aware, capable people and communicators. Alison Gopnik‘s studies show, and I believe she even states it this way, that babies are more aware than we are. They have what she refers to as a lantern type of attention that’s shining light, that’s taking in everything in their environment, as opposed to us as adults. We’ve learned to have a spotlight type of attention. So, they don’t miss the things that we often miss. And so, the first thing I want to say to this parent in particular is that across the room her baby can be communicated with through this mother’s voice, through her verbal communication, and they can even feel the vibrations of mood from across the room. That’s how hyper aware infants are, and because they are absorbing everything, they learn so much, and develop so much in these first years. That’s also the reason they get very easily overstimulated. You can imagine… We’re able to tune certain things out, babies can’t. We have to be careful of overwhelming them, and allowing them to absorb all the stimulation that they can’t release except by crying. That can keep them awake when they actually need to sleep. It can make it harder for them to eat. Well, first of all, I would understand that it’s safe for me to care for one child while the other child is waiting, and that that baby’s doing what the baby’s supposed to be doing, which is communicating, signaling that they want attention as well. But that very seldom is an emergency that needs to make us frantic, or drop everything to run over there and make sure that baby’s okay. And why is that important? Because our frantic energy is going to be felt by both children, even the one on the other side of the room, but especially the one that we’re right next to, and our emotions will affect our child. They’re looking to us to be the leaders, to let them know that they’re safe, that they can depend on us, and it’s discomforting to have adults that are anxious around them. And one could ask, well, how do I stop being anxious? We stop being anxious by perceiving, again, babies as capable communicators, and that these situations are not urgent. It’s okay for babies to be crying without us immediately taking it away. So, the second point that I believe helps us all, and also specifically refers to twins, is that (2) it’s not our job to prevent babies from crying, or to make the crying go away. It is our job to respond to crying. Responding can be, “Wow, I hear you over there. Sounds like you want me, too. I’m sorry, it’s hard to wait, isn’t it?” Letting that baby know that I hear her and I’m actually wanting to encourage that communication. And I realize it is very, very challenging because, cries, nature designs them to stir us, to make us jump into action. That’s how babies survive, they learn how to make that sound that will let us know that they’re there. Believe in her, she gets it, and that doesn’t mean that she’ll suddenly stop. She might need to keep telling you that. But for the bigger picture of the sense of security that both your children feel, it’s better to hold your own and not allow yourself to be pulled into the sound of that cry in a frantic way. And this holds true, I believe, throughout the years with children, that we can get sucked into their pace, and their demands, whether it’s a whine, whether it’s a really impatient child interrupting us, or an angry child, or an upset child. If we get sucked into our child’s feelings there, and their pace, it’s going to be tougher for everybody, because it’s going to be exhausting for us. We’re going to be more likely to lose our temper and get frustrated, because we’re getting pulled into these immature people’s feelings, and their ups and downs. They’re not going to feel that we’re that stable leader that they need. So, we do play a part in these behaviors that children have, and their sense of comfort. The less comfortable they are, the more they’re going to be unraveling, whether it’s a baby crying, a toddler melting down or whining, or an older child being tense and impatient with us and demanding. And that also means that we have power here to work on how we’re perceiving our children, and our role with them. (3) We have to hold our own pace with children as confident leaders. It will be easier for you as a parent, it will be easier for your child, and it will actually make us happier parents as well. It’s not detaching, really, it’s just feeling yourself as separate from that other person and their feelings. This works with adults, too. When people behave in ways that are uncomfortable for us, it’s their feelings that are being expressed there. It really has very little to do with us. And the fourth point I wanted to make is very relevant to parents of twins, and will help all of us, especially if we have more than one child, and that is we (4) can’t please everyone all of the time. And all these points are interconnected, by the way, obviously, as you’re noticing. We can’t please everyone and, really, it isn’t our job to please anyone. Our job is to be responsive, and accept, and ideally even understand their feelings no matter how unreasonable they are, and the behaviors that come out of those feelings, but it’s not our job to make the feelings “better.” Because the best scenario is they get to express it, not that they stop expressing it. So, the wonderful thing about parents of twins, and I’ve noticed this with the parents that I’ve worked with that have twins, is that they get to learn straight off the bat that they can’t please everybody. There are going to be a lot of instances where they’re not pleasing both their children, and that’s okay. By pleasing, I mean that neither one is expressing a discomfort. And it will be proven to us that our babies are understanding, because sometimes that baby will stop crying, because they feel heard, and they feel acknowledged. We got their message, so they don’t have to keep giving us that. I have lots and lots of parents sharing stories with me all the time that are so eye opening, and they never cease to amaze me. This is a leap of faith that we have to take, and it’s not what everybody’s doing. It’s not what the majority of people are doing. We have to believe. We have to believe that is a person. No, they’re not talking, and they won’t for quite a while, but communicating matters, they’re aware, and they are starting to understand. They are sensing our intention. So, in terms of the specifics that this parent shared about her twins, she says, “They’re both eight months now and both so dependent on me.” Yes, babies are dependent on us. Young children are very dependent on us, but I’m wondering if there might be some dependencies here that the parent is unwittingly creating herself, or encouraging, because that can happen if we are reactive to the sounds that babies make, their communication, because it sounds unhappy to us and we want to make them happy. We have a sense of urgency when we’re helping one and the other is crying. Let’s say we have one child and we’re doing something on the stove, or we’re finishing up in the bathroom, and we hear our baby crying. If we can finish what we’re doing, maybe verbally acknowledging, “Oh wow, hey, I hear you. I’ll be there as soon as I can, just finishing up here,” and then we’re not running in, all of that matters to a baby, because the baby will feel the difference. If we take it on as our role to stop their crying, babies will start to feel like it’s not safe for me to express anything that’s not just a smile, or a laugh, or happiness. I need my parent to come make that go away. That’s a dependency that we don’t want to create. And I wish I had more specifics here from this parent so that I could speak to where she feels that they’re so dependent. Yes, they’re dependent for food. They’re dependent on us to keep them clean, bathed, and diapered. They’re dependent on us helping them to their comfy place to sleep. So with twins, and with siblings of different ages, there are going to be times when you divide your attention, feedings and meal times will be like that, and that will maybe work better for the parent that if she’s breastfeeding, that both babies are breastfeeding at the same time. Or maybe it won’t, maybe it works better for that parent to do them one by one. But when they start eating food, they will likely sit together, and she will give both of them her full attention. She’s not going to be on her phone, or trying to even eat her own meal. Ideally, she won’t even be thinking about all the other things she’s going to do as soon as they’re done. When they go to sleep I’m going to go call my mother, and those kinds of things. She will be able to clear that space, these little windows of space, to be with her children. But then there will also be times when it’s one on one, the diaper change, bathing that particular child. Maybe they’re both in the bath together, but now she’s taking the time to bathe that one child, wash that child’s hair. And the other child might be piping up at that time, and you just acknowledge and you allow that to be, because you understand that full attention matters. So we enter into a conversation with each one. It’s not about them understanding every word, and that’s why it’s so important not to just say words, by the way, but to really have that intention, that this guy needs something, and I really want to help you. First I have to do this, but I hear you. I hear you. I’m not trying to make the crying go away. I’m accepting that I’m in this situation and I have to hold my own. It’s not our job to prevent babies from crying or communicating, our job is to respond rather than be reactive. We have to hold our own pace as confident leaders. I really hope some of that helps, and again, these ideas apply to all of us, and they’ve definitely helped me with my children. For more, you can find both of my books available on audio at Audible, Elevating Child Care and No Bad Kids: Toddler Discipline Without Shame. You can get both audio books for free with a 30-day trial membership by using the link in the liner notes of this podcast. You can also get them in paperback at Amazon and an ebook at Amazon, Barnes and Noble, and Apple.com. Thank you, Janet! And please don’t be afraid to address specific groups of moms. The rest of us should understand that there’s always something to be gleaned from the advice, even if not directed exactly towards us. Moms of multiples need recognition and support. Thank you so much for your encouragement, Tiffany! Thank you Janet. I am the mother of 18 month old twins and the thing I have found painfully hard about it is both crying for me (whether for breastfeeds or to be held… or anything else) at the same time. RIE has helped with lots of aspects of twin parenting – not feeling pressure to entertain is massive! Yes spaces are a necessity! But trying to slow down and observe and wait is a constant challenge, often feeling pulled in two opposite directions. I particularly like the advice to give full attention to each in turn. This is a helpful reminder. Thanks! I was really disappointed and upset when I read this article. The first paragraph made me feel like an outcast, and that advice for raising multiples (which is really hard) is only worthwhile if singleton parents can benefit too. But I also felt this offered no practical support (other than accepting that crying is ok) for how to make twins feel valued and heard as individuals. And feeding time (the example you gave) is not a place where you can give them both your full attention (mine are 18 months and I am lucky one is a good and competent eater so I can focus most my attention on the other one who isn’t). I think you have no idea what raising twins is like and by glossing over the real difficulties of always having to divide your attention and be focusing on two babies simultaneously, you are undermining the issues in a quite offensive way. But not everyone agrees with it and that’s okay, too! Again, I am sorry that I offended and upset you. I wish you joy in your journey. Thank you very much. Your sharing is really helpful for us. I am a new born baby mom and trying to learn everything which can helpful for my kid. You post give me lot of courage and thoughts. I have 22 month old twins & am having trouble with them thinking it’s funny to hit and kick me, which is especially frustrating at 35 weeks pregnant. I’ve resorted to smacking their butts, which I don’t like and recognize is not something everyone is ok with but I’ve been desperate. I’ve recently been trying to read more about it & most suggestions are to gently restrain the child and talk to them until the stop….2 problems with this….1-they just become more determined to hit me if I’m doing this and 2-if I’m restraining one, the other thinks it’s funny to hit and kick me while I’m doing that. I truly don’t know what to do but I’m clearly not doing it right! !